13186 NW 18th Ct, Pembroke Pines, FL.| MLS# A10568180 | Susan J Penn l Best Agent l Buy & Sell South Florida Homes! MODERN TRIPLE SPLIT PLAN THAT IS READY FOR YOU TO MOVE RIGHT IN! 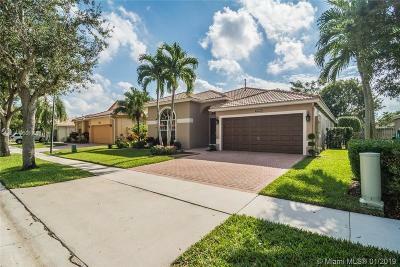 COMPLETELY REMODELED W/ SUBWAY TILE BATHROOM, WALK IN GUEST SHOWER, 5" PLANK LAMINATE WOOD FLOORING, NEWLY PAINTED INSIDE & OUT, GRANITE IN THE KITCHEN W/ SS LG APPLIANCES, VOLUME CEILINGS PLUS VERY OPEN PLAN, QUARTZ IN BATHROOMS! OIL RUBBED BRONZE LIGHT FIXTURES ACCENT THIS SHOWCASE HOME! OVERSIZED COVERED PATIO WITH LARGE FENCED BACKYARD.THIS HOME WILL BE GONE IN A MATTER OF DAYS!RESORT STYLE AMENITIES! Directions: Sheridan Street Then Right On Pembroke Falls Blvd...show Business Card/Id To Guard Then Proceed To NW Make Left NW 18th Ct...home Is On Right Side.